Japanese government officials hope to win support for a plan to move an American airfield in Okinawa by holding direct talks with residents after negotiations with the island's governor yielded to no result. 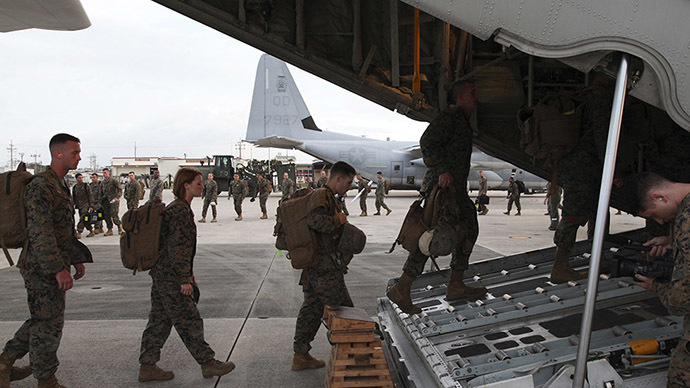 As the government prepares to relocate the US Marine Corps Futenma Air Station in Ginowan City to the coastal Henoko district of Nago City it must first win over the hearts and minds of the local population. Thus far this has proven to be a hard sell. The military base, currently in heavily-populated Ginowan, has been the source of deep tension between American troops and local residents for years. Okinawa hosts about half of the 47,000 US troops based in Japan. Tokyo wants to relocate the base to Nago, a less populated area in the southern Japanese island. However, the majority of islanders are fiercely opposed to the plan, instead wanting the base gone altogether. Defense Minister Gen Nakatani and Okinawa Governor Takeshi Onaga met on Saturday for the first time to discuss the relocation plan. They failed, however, to resolve their differences. Nakatani said moving the US base to Henoko represents an important part of keeping the Japan-US alliance on solid ground. But Onaga said Okinawa residents strongly oppose the plan, and urged Nakatani to abandon it. Onaga, who won a gubernatorial election in 2014 on the back of a pledge to stop construction of the planned Nago base, said last month he is still hopeful of keeping to his electoral pledge. 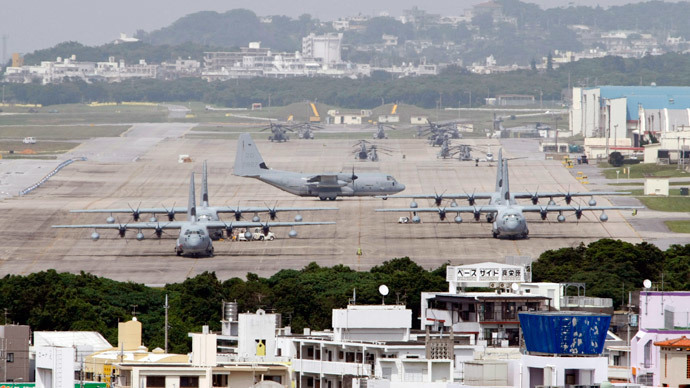 "Okinawa never voluntarily offered [land] for bases. I'm convinced that it is impossible to construct a new base," he stated back in April. Now Japanese officials from the Defense Ministry's Okinawa office and the Okinawa General Bureau will meet with leaders from Henoko and two neighboring districts later this month in an effort to win approval from local politicians and their constituents, local broadcaster NHK reports. The two sides are expected to discuss the advantages of relocating the US base, which would include the renovation of roads, sewerage systems and other infrastructure, as well as general support for the local economy. In March, Yoshimasa Hayashi, Japan’s fisheries minister, “temporarily invalidated” the Okinawa governor’s order to halt construction of the base. He cited the "great damage to diplomacy and defense policy by having a negative impact on the Japan-US relationship, as well as affecting residents near Futenma,” if the base was postponed. Onaga had sought to block plans for the new $8.6 billion airbase by claiming an underwater survey had determined the project would damage coral reefs near the planned construction site. In 1996, it was decided that Futenma Air Base would be shut down. This followed a diplomatic spat after a local 12 year-old Japanese girl was gang raped by three US servicemen, triggering intense public opposition to the presence of the US military.